The Graduating Student Survey is now open! Our institutions have changed over the years in response to student needs, social trends, and changes in college and university staffing. With these adjustments comes the question of whether and how Catholic identity, as well as the charism of the founding and sponsoring group, are expressed on campus and assimilated by students. 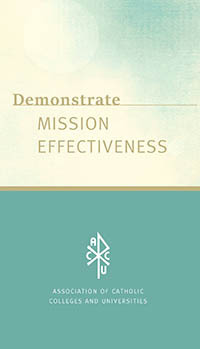 In order to address these questions, the Association of Catholic Colleges and Universities, in conjunction with the Catholic Higher Education Research Cooperative (CHERC) and a selected group of experts from ACCU member campuses, has developed the Catholic Identity & Mission Assessment (CIMA) project. CIMA will help ACCU member institutions understand how Catholic higher education adds distinct value to the student experience by conducting pointed surveys within four primary student and alumni demographics. Interested in Having Your Institution Participate? It’s Easy! To participate in CIMA, fill out the registration form and then pay your initial, one-time consortium fee. This fee activates your CIMA account and enables you to access any available survey. You will receive access to the “Welcome to CIMA” webpage and information on how to access your Google Drive shared folder, where all CIMA information is exchanged. You can take this initial step at any time throughout the calendar year. We hope you will consider joining this endeavor to strengthen Catholic identity on your campus. If you have any questions, please contact Rebecca Sawyer. "The CIMA suite comes closer than anything else to providing Catholic institutions with valid insights into the elusive and even ineffable dimensions of mission." Why sign up for CIMA? guide add value in strategic planning and in the accreditation process. what you consider the most vital indicators of your institution’s mission. institutional commitments to Catholic mission. Catholic Identity and Mission Assessment: Results from the Field was presented at the 2019 ACCU Annual Meeting in Washington, DC. The presentation materials provide a good overview of the program and examples of how two institutions used the data, providing an excellent resource for those institutions still considering becoming a CIMA institution.